Navagraha Guru Mantra should be chanted by those people who are having Guru related problems in the horoscope (janam kundli or jatakam). It is also an ideal mantra to chant if you are facing financial problems. Below is the mantra benefits and on how to properly chant the mantra. Wealth and property related matters will be resolved. Legal decision in your favor regarding financial and property matters. Good for those searching for a new job. 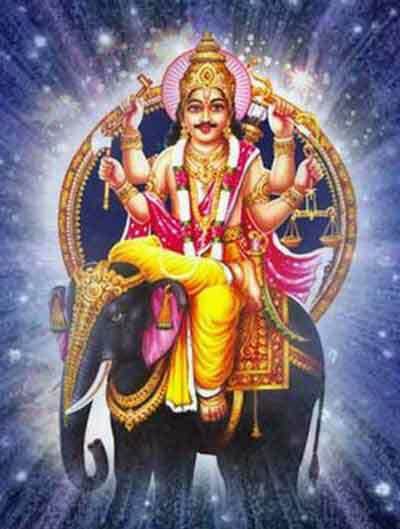 How to chant the Navagraha Guru Mantra? Chant the mantra on Thursday. Take bath in the morning and wear yellow color clothes. Sit facing east, north or northeast. Offer prayers to Ganesh in mind. Chant the mantra 108 times. To keep count use a chandan mala. Keep some uncooked rice mixed with turmeric near the lamp. Light camphor and put some little kesar or turmeric on it. Light dhoop or agarbhati of yellow or white color flowers. After puja give the banana to a cow. The rest puja items should be deposited under a peepal tree.